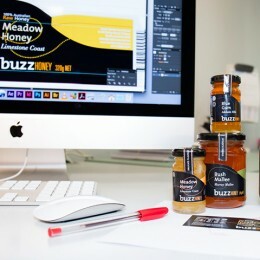 Providing specialist print and design solutions for the food & beverage industry. As active industry members, we are well positioned to provide you with a unique and thorough solution for your label printing, packaging, point of sale and marketing materials. Rely on us to support you with packaging and design layout, including content guidance such as nutrition panel and ingredient lists or barcode generation and inclusion. Our industrial design experience extends to packaging concepts and label tapering for curved surfaces. With consideration for varying environments, we recommend the correct materials and adhesives for your product, such as moisture, heat and oil resistant. Our inventory management process is highly valued by packaging clients. Find out more by visiting our Print Management page. 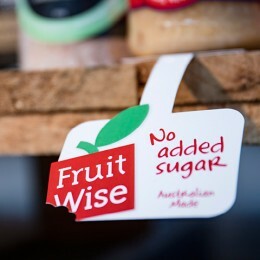 Customised labels on rolls in all shapes and sizes. Specialising in material recommendations, we can provide clever label printing solutions for all containers and applications. An important element at point of sale, we can help with the design of your printed product packaging from cartons to wraps. 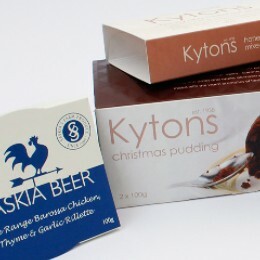 Providing printed materials from shelf wobblers and talkers through to brochures, recipe books and banners. 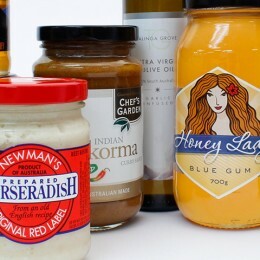 Our long term relationship with the food industry allows us to support you with brand, logo, and packaging design. With consideration for nutrition panels and barcodes our team can guide you through to delivery of your product. Supporting you with inventory management of your packaging needs, our print management service also helps with cash flow and budgeting.